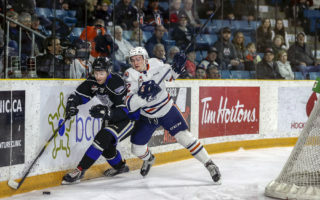 Kamloops, BC – The Kamloops Blazers roster is at 26 players as the hockey club enters the final week of the WHL preseason. 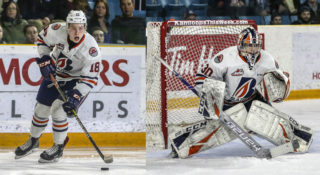 The Blazers reassigned five 16-year-old players over the weekend as forwards Riley Ginnell, Daylan Kuefler, Reese Belton and defensemen Ethan Brandwood and Trevor Thurston have all been sent to their midget hockey clubs. 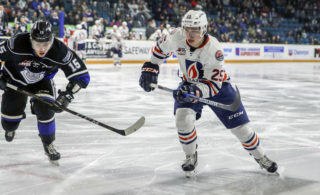 Four Blazers remain at NHL training camps this week as Jermaine Loewen (Dallas), Dylan Ferguson (Las Vegas), Montana Onyebuchi (Tampa Bay), and Sean Strange (Colorado) are all competing in NHL rookie tournaments. The roster breakdown includes four goaltenders, eight defensemen, and 14 forwards. 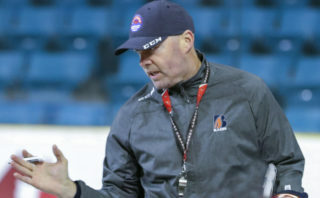 The Blazers are 3-1-0-0 in the WHL preseason and will play their final game on Saturday, September 15th in Prince George. 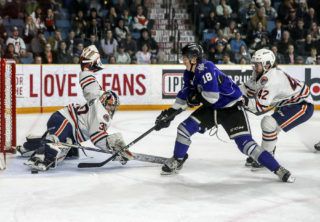 The Blazers will open the WHL season at home on Friday, September 21st when they host the Kelowna Rockets. Tickets will go on sale for the home opener on Monday, September 17th at 9:00am.